With rolling fields dotted with sleepy historic towns, fairy tale chateaux and abundant vineyards, the fertile Loire is a dream of a setting for a luxury barge cruise in France, which is why we felt compelled to tell you the best things to do in the Loire Valley while you’re there. Boating on the rivers Loire and Cher is in its own right, one of the best things to do in the Loire Valley. 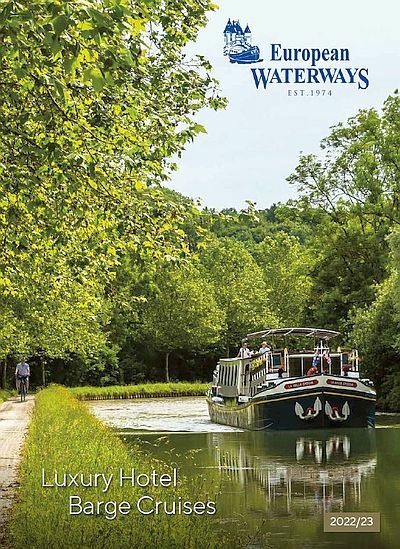 These waterways boast a millennia-old legacy of providing the Gallic heartland with transport and commerce, and the old-world charm of the surrounding towns and country makes an exploration of the Valley feel almost like a journey back in time, without losing out on any of the modern comforts provided by a hotel barge. The Chateau de Villandry, which sits on land once commanded by an ancient fortress, was built in the 16th century by the King’s Minister of Finance, and is a gem of French Renaissance architecture with a long and interesting history. What makes it one of the most outstanding highlights of the Loire, however, are its exquisite gardens, created by Joachim Carvallo in the early 20th century, in the style of the original Renaissance gardens. Their beautiful symmetrical layout and rich array of flowers, trees, shrubs and herbs are truly a sight to behold, with audio guides and guided tours available for those who want to learn more about the gardens’ history and botany. For a very different, but no less impressive, form of French architecture, why not step into a remarkable underground world with a trip to Bourre. Just outside the medieval market town of Montrichard, the Bourre caves are in fact man-made quarries created by the excavations of the tufa rock that the surrounding hills are formed of. While the rock was taken off to be used in chateau construction, the remaining holes were put to a variety of innovative uses by the quarrymen, providing them with homes and workspaces. These subterranean homes, hewn out white stone and called ‘troglodyte’ houses, had the advantage of staying cool in the summer. Other caves have been used as silkworm factories, and several are still used today as mushroom farms. Overall, Bourre and similar troglodyte caves found scattered through the Loire Valley provide an attraction quite unlike anything that can be seen elsewhere in the world. A tour of the Chateau de Chenonceau is undoubtedly one of the best things to do in the Loire Valley. Spanning the River Cher, it is here we cruise beneath its famous arches. History and art lovers alike will enjoy exploring the castle, which has a gallery filled with works by European Old Masters. Built by Katherine Briconnet in 1513 and subsequently added to, inhabited, and administrated by a number of illustrious women (including Catherine de Medici and Madame Dupin), it has become known as the ‘Chateau des Dames’.